You’ve created a great piece of content and shared it on social media. Job done? Not really. Was it the best time to share your post? Did everyone (you wanted to reach) get to see it? It’s unlikely that that’s the case. The trick with distributing your content is to keep on sharing it, particularly if it is evergreen (and if it isn’t, some judicial editing can take care of that). As soon as you’ve written your content, write 5 short texts to accompany your content (for each social network you belong to), and save them in a document somewhere. Creating different texts means you will attract different people to your post. Where Twitter is concerned this means that you can use different hashtags too, as I have done, which reaches out to different demographics (#legalnews vs #contentmarketing). This stops you from feeling the need to cram them all into a single unreadable tweet too! So by creating more tweets, you are giving your post more opportunities to reach the right people. On some social networks reposting the same content too often might not be the best move – the trick is to make each version different: use a different image, change the focus. For Facebook for instance, you could make one post a link preview, and another post an image share. You can get away with sharing content at a faster rate on networks such as Twitter and Linkedin, where the feed changes quite rapidly. You can either set yourself a reminder to share your post the old-fashioned way, or you can use a tool like Buffer or Tweet Juke Box to re-share it as often as you want. Buffer shows me which posts have performed well in each network and allows me to re-share them. Juke Box lets you to create playlists for particular content, and it’s free. There are other tools like Meet Edgar and Co-Schedule which also facilitate the process. Having a selection of images to use for this sharing will also help each one feel different. 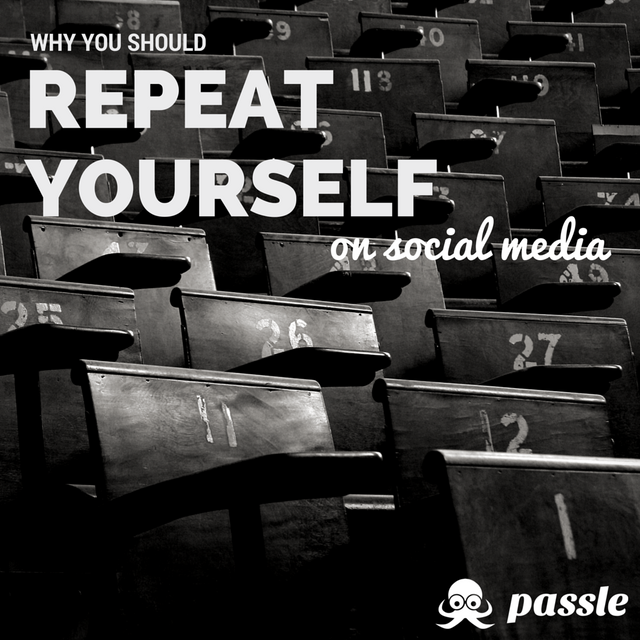 I highly recommend Canva for creating posts adapted for each social media network. You could also use Buffer’s Pablo tool which creates images in seconds. By re-sharing your posts multiple times not only are you extending your post’s reach, but you are also finding out which tactics work best on your social media networks. Compare them after a week, or a fortnight to see which ones have performed the best, and adjust your tactics accordingly. If you don’t use Buffer Hootsuite or similar, most social media networks come with free analytics tools these days so you can look there for feedback to see which of your updates worked best.